TWO houses on property at this time; room for another (maybe 2 more); buy as a compound and sell / rent the other lots. MANY POSSIBILITIES! Existing houses need work or possible demo / rebuild. **Also listed as LAND FOR SALE - MLS 170139403 - See details below for alternative use of this property. A Builderâs Dream! This unique North Milford location is ready for your imagination and know-how. 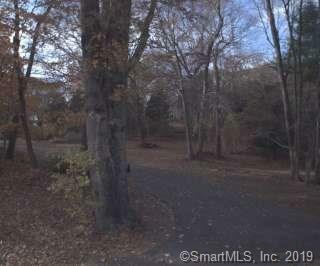 Zoned R-30, this 3.12-acre wooded parcel can accommodate a 3- to 4-lot subdivision (30,000 sq. ft. / 0.68 ac each). The good news is thereâs already an existing driveway up the middle of the property. Two existing older houses present the only challenge. Once they are cleared away, the possibilities are ENDLESS! Prime location for premium value homes. Quick turnaround on investment. Close to I-95, the Parkway, New Haven and Bridgeport. Just 2 miles to the Milford Train Station for easy access to NYC. Donât sleep on this beauty! Sold AS IS., Bring your vision! Bring your dreams! With the right zoning clearance, this could be a 4-lot subdivision. Currently, there is no city sewer availability; septic would be necessary. Water hookups on adjacent lot provide a possible extension to this property (via easement). Buyers / Agents, please perform due diligence with RWA, city engineers and P&Z to maximize the potential offered by this listing.